It is my second visit to sushi tei as my friends have craving on food here. U can read the review on sushi tei over here. We went on Valentine Day where almost every restaurant is flooded with couple. Furthermore, it is yuan xiao jie where family will have another reunion dinner. 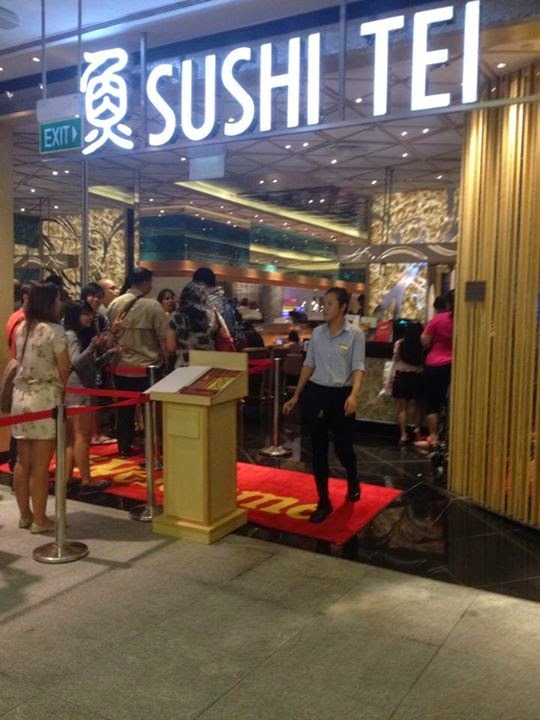 The q outside the restaurant is like a snake which never end. Luckily, my friends reached early to q up. 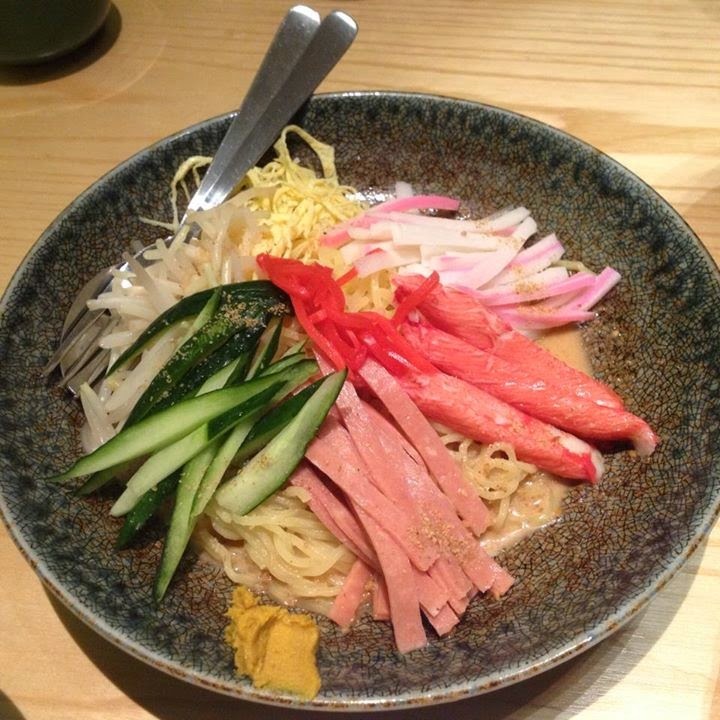 Hiyashi Soba: From the first look, it looks like the instant noodle with all these cut ingredients placed on top. We have to mix the noodle before eating just like bibimbap. However, it doesn't taste like instant noodle at all. It is quite light and refreshing. The ingredients are freshly prepared and my favorite is luncheon meat. Salmon Don: My friends love salmon so we decided to order this. 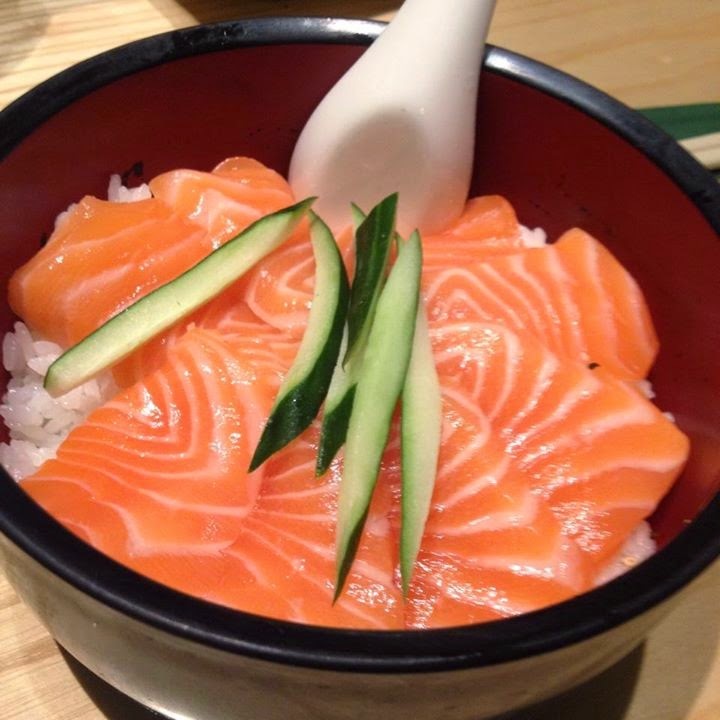 It is rice bowl filled with slices of salmon on top. Fresh salmon has bright color and u can see how fresh this salmon is :) If u are great fan of salmon, remember to give it a try! Sal Mentai Yaki: As my friends can't get enough salmon, we ordered this dish. Actually, I prefer this over the salmon don. 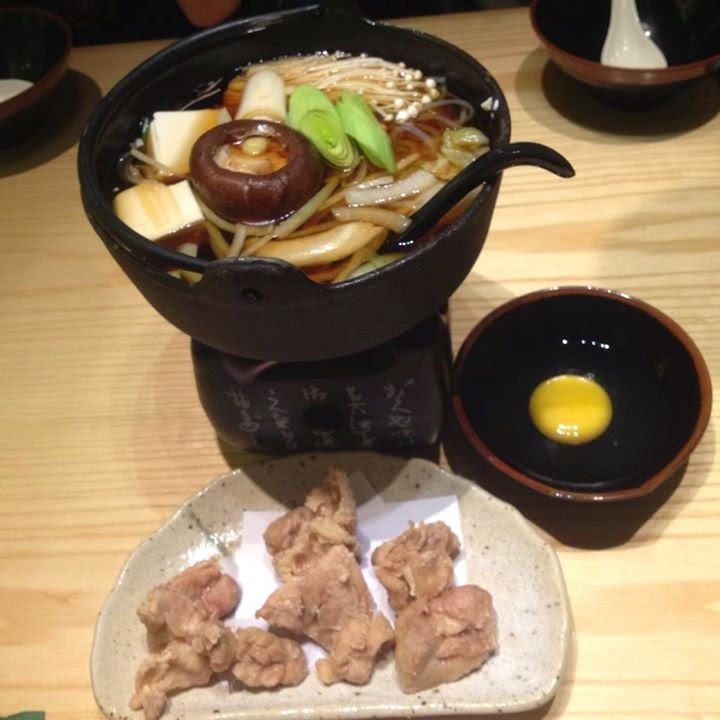 The meat is really quite well cooked and it tastes delicious. 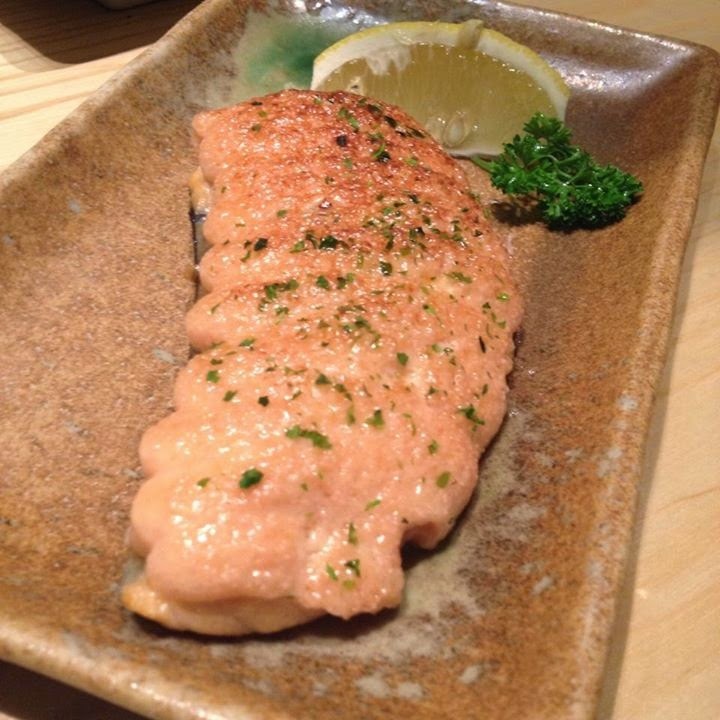 The salmon meat also has a soft texture. 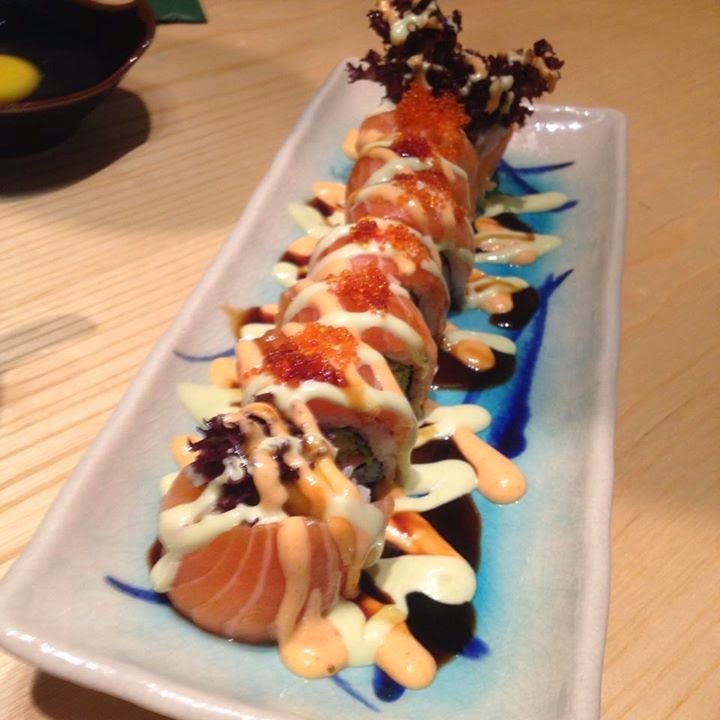 Dai Dai Roll: It looks really beautiful and it also tastes really yummy. I love the sauce that goes with the roll. However, there is a bit wasabi inside the roll which I dislike. Luckily, it is not overwhelming till the point I can't eat.